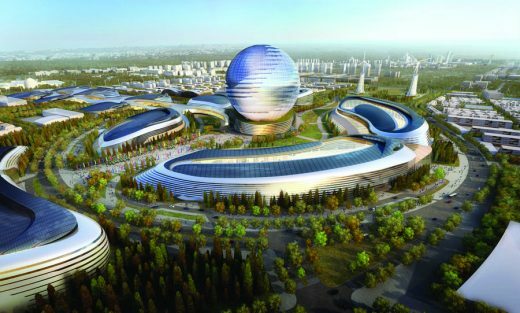 Hypsos, Hong Kong, June, 2017 – Hypsos was selected to fabricate and install The Kingdom of Saudi Arabia pavilion at the Astana 2017 Expo in Kazakhstan for K.A.CARE – King Abdullah – City for Atomic and Renewable Energy. Design of the Pavilion was provided by KCA London in association with National Talents Company. 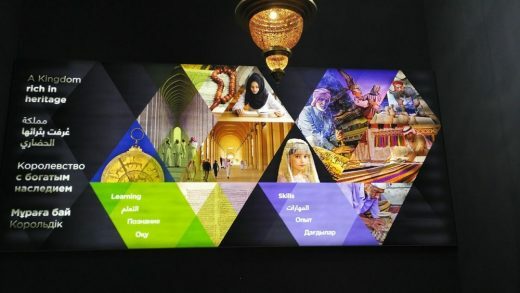 The exhibition storyline is a celebration of the people, technology, culture and heritage of Saudi Arabia. 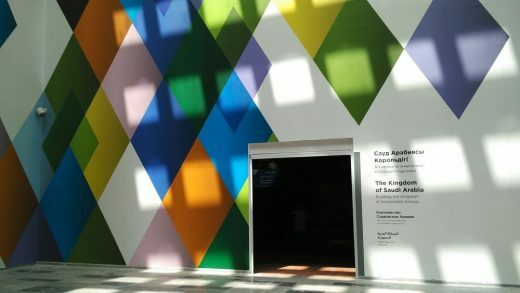 Large scale back-lit seamless graphic panels of up to 9 meters long and 2.5 meters high create a colorful pathway through the exhibition. The highlight of the experience is a multifaceted projection wall with 27 angled surfaces. The show uses 12 high powered laser projectors and an impressive 7.1 surround audio system with high resolution images up to 7 meters high. 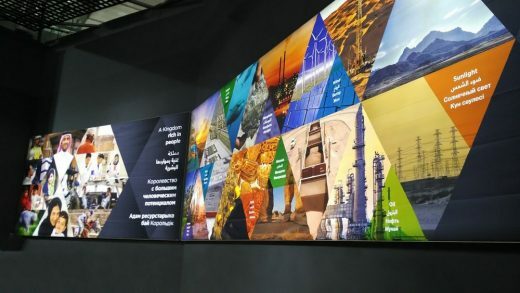 The 6 minute program, developed by audio visual media company Graham English & Co. is a not-to-be-missed audiovisual feast of video, images and sound that acknowledges the efforts of the Kingdom towards developing and implementing cleaner forms of energy. The scope of work of Hypsos consists of construction of all the interiors wall, finishes, setworks, AV/IT installation, lighting, electrical installation, M&E modifications, graphics, staff room installation and decorations. 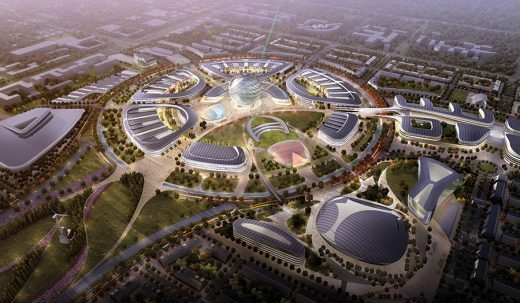 The project of the Saudi Arabia Pavilion was undertaken jointly by the Hypsos Moscow and Hong Kong offices under the guidance of Jan Spiers, Managing Director of Hypsos in Moscow, Dmitriy Plahotnyuk, Project manager of Hypsos in Moscow and Tim Large, Project director of Hypsos in Hong Kong. It’s a prime opportunity for the former Soviet republic to make an impression on an international stage. 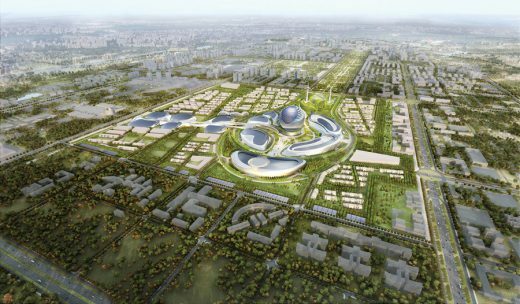 But the Expo, set to open June 10, has faced several daunting hurdles, chief among them corruption, economic woes, and just four years to complete a $3 billion, 18 million-sqft city by Adrian Smith + Gordon Gill (AS+GG).